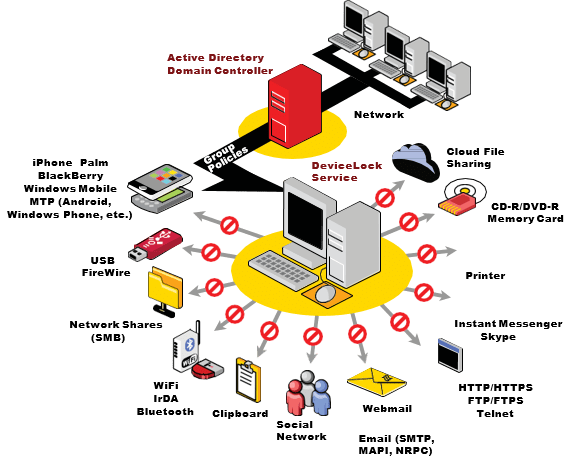 Software solution for preventing data leaks on corporate computers. Insider mistakes, negligence, and misconduct. Lightweight agent for Windows and Mac computers. Transparent to the user's normal business operation. Scalable yet easy to deploy and manage. Natively via Group Policies from Active Directory. Helps organizations reduce Infosecurity risks and comply with IT Security Standards and Regulations. Monitoring, preventing, alerting and auditing.